This the Go!Control Security & Automation System by 2GIG. 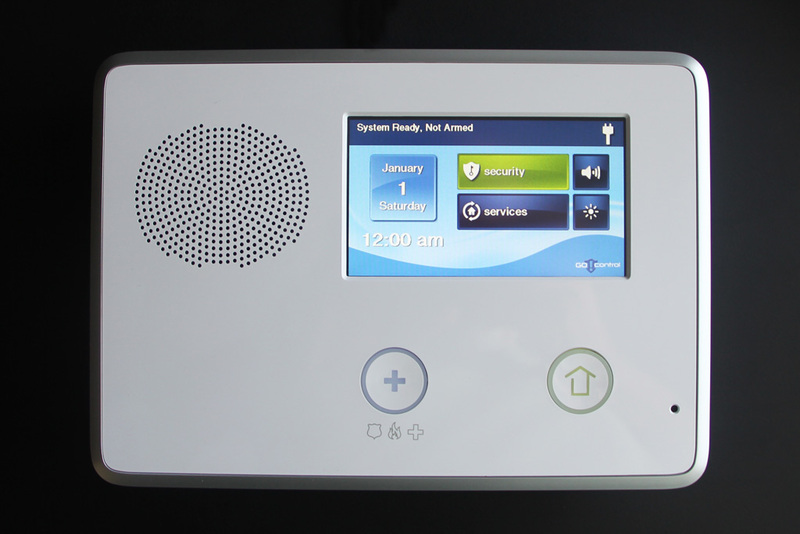 It’s an all-in-one home security and home management system. The Go!Control has built-in Z-Wave RF Protocol meaning that you can wirelessly control your lighting, thermostat, appliances, door locks and other Z-Wave compatible devices. With its GSM cellular radio connectivity through a service provider, you can also monitor and control your home and receive alerts through your computer or mobile device. 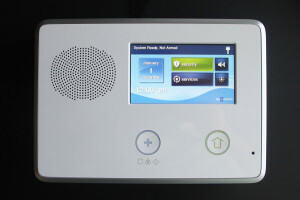 The panel has a large, easy-to-use color touchscreen interface, a speaker that sounds alarms and notifications such as system status and zone descriptions. There is also a large Home button that takes you back to the main screen and a large Emergency button that can be used for police, fire or medical emergency. 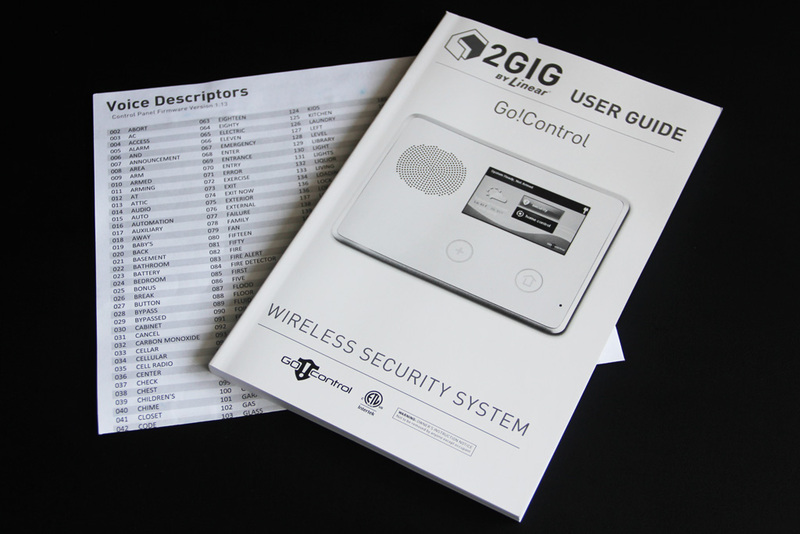 The Go!Control panel enables you to monitor and control up to 48 wireless zones, 2 hardwired zones and up to 32 user codes. It also displays the current date, time and weather conditions. Included in the box is a larger single-sheet, double-sided startup guide that has a lit of all Voice Descriptor, Equipment Codes and programming guide on how to get started and program your devices such as video cameras, thermostat and sensors. The User Guide shows you how to use the features of the panel touch-screen interface. The guide comes in three languages, (English, French and Spanish. 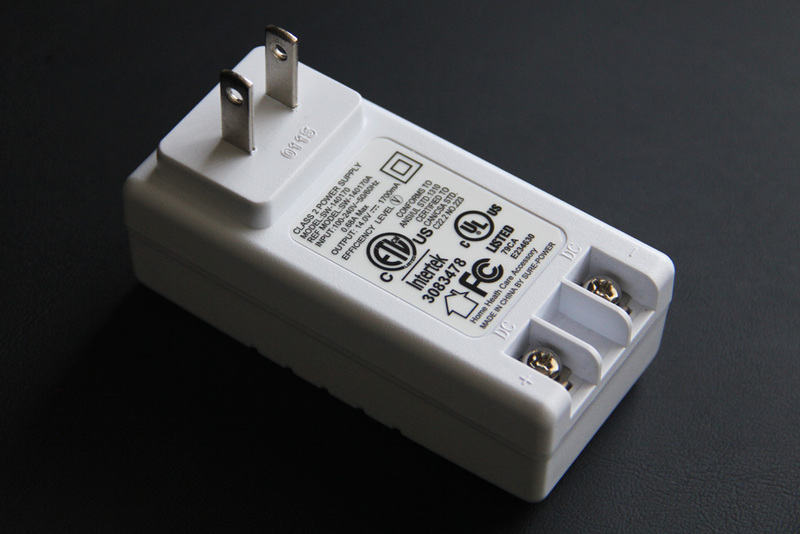 The panel comes with an AC power adapter but you will need to wire the adapter to the panel yourself. Note that it does NOT come with any wires so you will need to purchase wire separately from your local hardware store. Want this system for FREE?! Contact us about our special offer for a FREE 2GIG System with FREE setup, programming and installation!